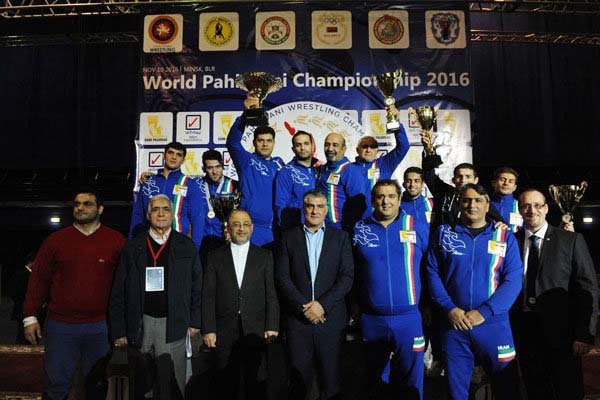 Iranian athletes have bagged six medals to win the title of the first Pahlavani Wrestling World Championship held in Belarus. The first edition of the tournament was launched on Saturday morning in the Belarusian capital of Minsk where Iranians athletes landed first. 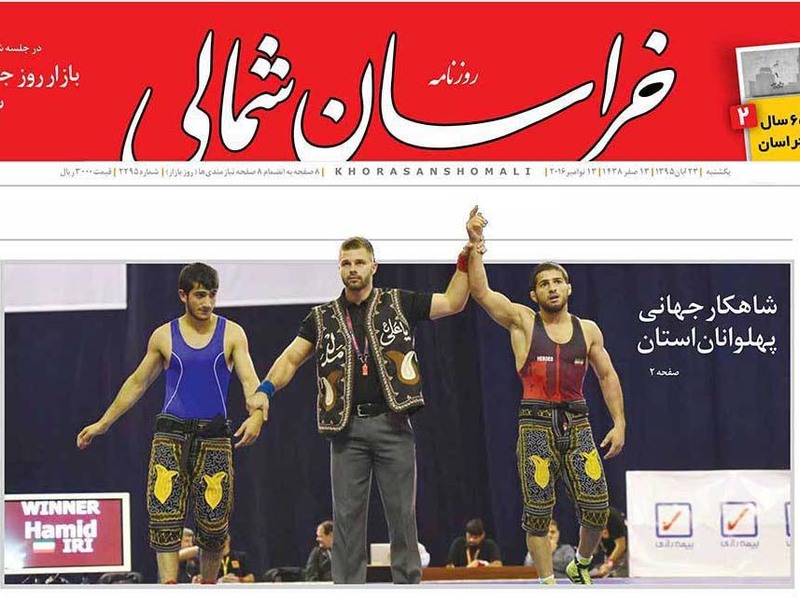 Hamid Elhamian, Esmaeil Nejatian, Javad Mahjoub and Ahmad Mirzapour clinched gold medals, Jalal Alizadeh stood on the silver podium while Ahmad Jafakesh bagged a silver medal for Iran to become the champion with a total of 58 points. Accordingly, Jalal Alizadeh pulled out three victories in a row against Georgian, Belarusian and Kazakh wrestlers on road to the finals of 60-kilogram weight category where he conceded a defeat against a Russian rival and won the silver medal. Competing at 90kg weight group, Esmaeil Nejatian struck an off draw in the first round while later overcame opponents from Brazil and Bulgaria before winning a gold trophy by defeating Turkey's Ahmet Bilici in his last encounter. Javad Mahjoub (100kg) also struck off an off draw in the opening round while he later thrashed Pahlavani wrestlers from Italy, Poland and the US en route to the finals where he out powered the Cuban representative and finished in the first position. Iran's wrestler at +100kg category Ahmad Mirzapour managed to win a ticket to the finals by only subduing Turkish and Indian rivals. He later became a gold medalist by winning over a Russian wrestler. Meanwhile, Iran's Ahmad Jafakesh conceded a defeat against the Georgian contestant though he found a place in the second chance group where he defeated a Russian wrestler. Jafakesh bagged Iran's only bronze medal by gaining the upper hand over a Turkish representative in the repechage round. The first ever edition of Pahlavani Wrestling World Championship was competed from November 10 to 13 in Minsk of Belarus and has attracted wrestlers from 45 world countries including Armenia, America, Belarus, Kazakhstan, Cuba, Hungary, Turkey, Ukraine, Russia, Poland, Georgia, Uzbekistan, Azerbaijan, India, Latvia, Lithuania, Estonia, France and Moldova.